The store shelves are filling up with candy, gifts, and cards. 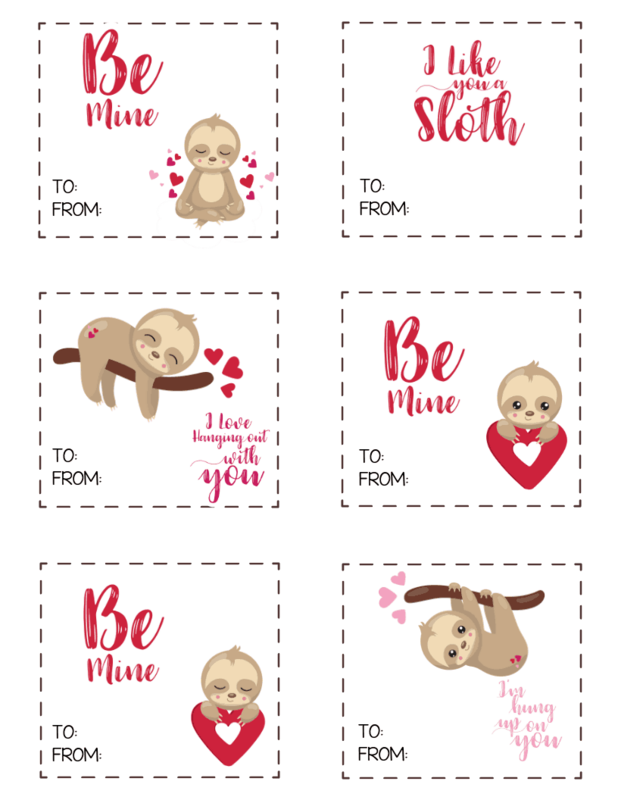 Why not add a personal touch to Valentines Day this year with these Printable Valentines Day Cards! No matter who you are wanting to bless this year, these printable Valentines Day cards are a great way to show someone you care. Kids especially will love handing out Valentines Day cards to their classmates that they had a hand in making. VALENTINE’S DAY TIC TAC TOE PRINTABLE – These DIY Valentine’s are not only a Valentine’s Day gift but a game as well! Wrap it all up with clear bags and bakers twine. POKEMON PRINTABLE VALENTINE – This is a great non-candy Valentine idea! Add 1 or 2 Pokemon cards for an added gift. SUNGLASSES VALENTINE’S DAY CARDS – These heart printable Valentine’s wrap neatly around a pair of sunglasses. 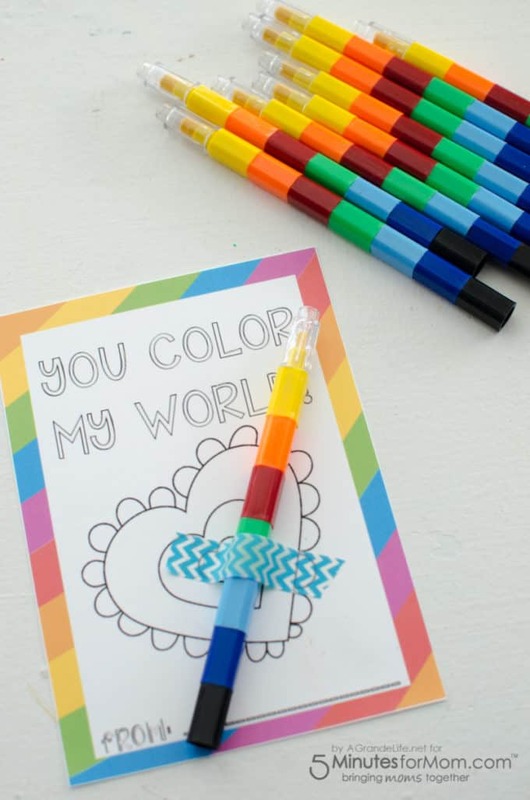 YOU COLOR MY WORLD FREE PRINTABLE VALENTINE – Kids will love coloring these Valentine’s Day Cards for their classmates! PRINTABLE CHEMISTRY VALENTINES – These fun chemistry Valentine’s for kids have true science facts on the back. FREE STAR WARS PRINTABLE VALENTINES – Don’t worry about running to the store to pick up Valentine’s Day Cards. Print these out for your Star Wars fans. LEGO VALENTINES PRINTABLES – Print these fun LEGO Valentine’s Day Cards on cardstock and add a small LEGO set as an extra gift! OUR FRIENDSHIP BLOWS ME AWAY – These Valentines are extra cute with a small bottle of bubbles attached to them. 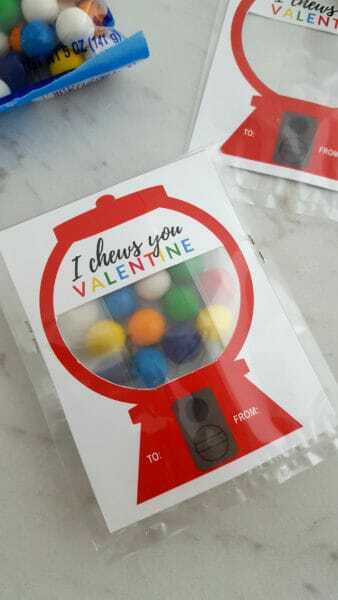 DIY GUMBALL MACHINE VALENTINES – With only cardstock, clear treat bags, and bubblegum you can make these adorable Valentines with a great printable. PRINTABLE MINECRAFT VALENTINES – These printable Minecraft Valentines are going to be a hit with your kids. 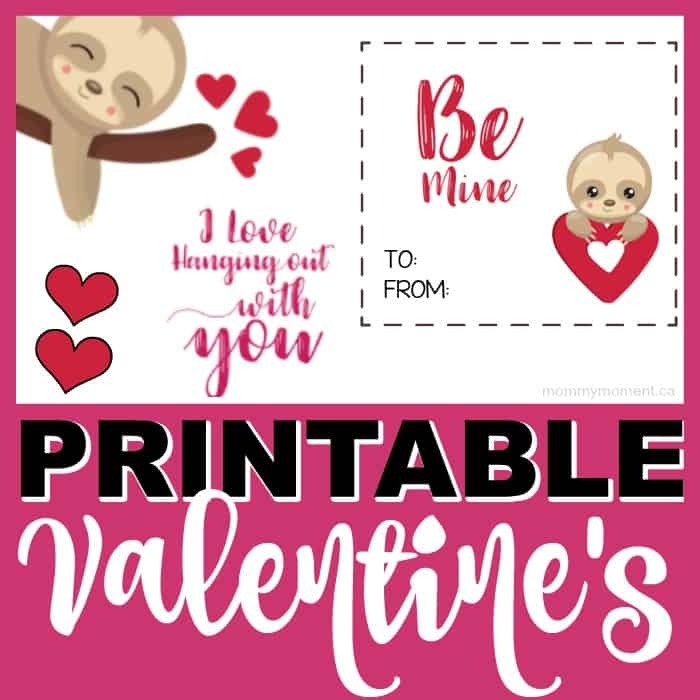 PRINTABLE FORTNITE VALENTINES – Use cardstock to print out these Fortnite Valentine’s Cards with the characters from the game. LAST MINUTE VALENTINES MINION CARD – These Minion Valentines can be printed out and used on their own or make a Minion pudding cup Valentine to go along with it. 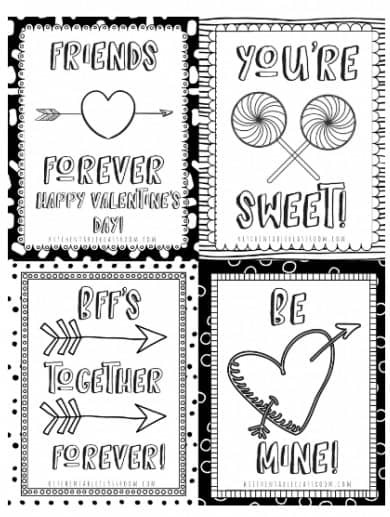 PRINTABLE VALENTINES CARDS – These printable Valentines cards are black and white so they are easy to print and easy to color! 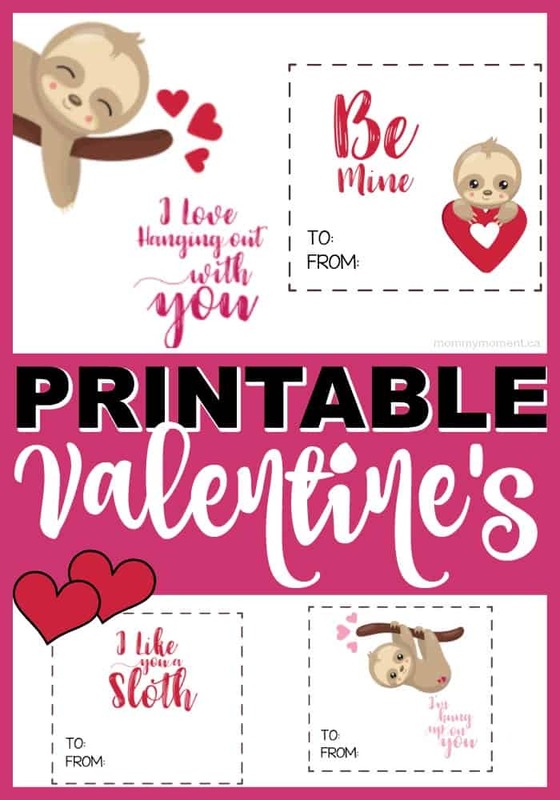 FREE PRINTABLE FOR CLASS VALENTINES – Add a package of fruit snacks to this printable Valentine making it the PERFECT Valentine’s Day gift for your child’s classmates. SUPERHERO VALENTINE CARDS – Print out 3 miniature versions of Captain America, Black Widow, and Iron Man on hard cardstock to hand out to friends and family. YOU MAKE MY HEART ‘SAUR – Paired with a tiny dinosaur eraser or toy, boys and girls alike will love this dinosaur Valentine! FREE PRINTABLE VALENTINES DAY CARD – This simple, yet ADORABLE Valentine’s Day card is perfect for the adults in your life. WATERMELON PRINTABLE VALENTINE’S DAY CARD – These Valentine’s Day cards feature a cute and lovable watermelon. 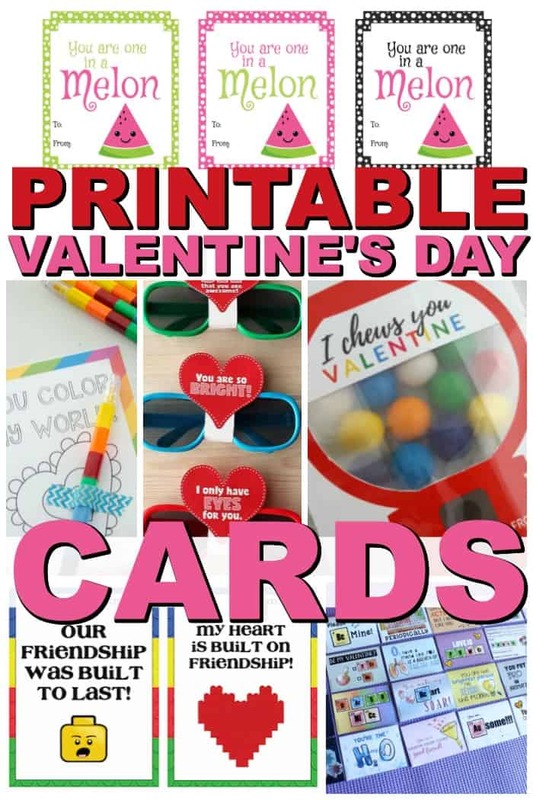 FREE VALENTINE SLIME PRINTABLE CARDS – Which kid doesn’t love slime? Adding a small container of slime to these Valentine’s will make them the most popular Valentine in the bunch. 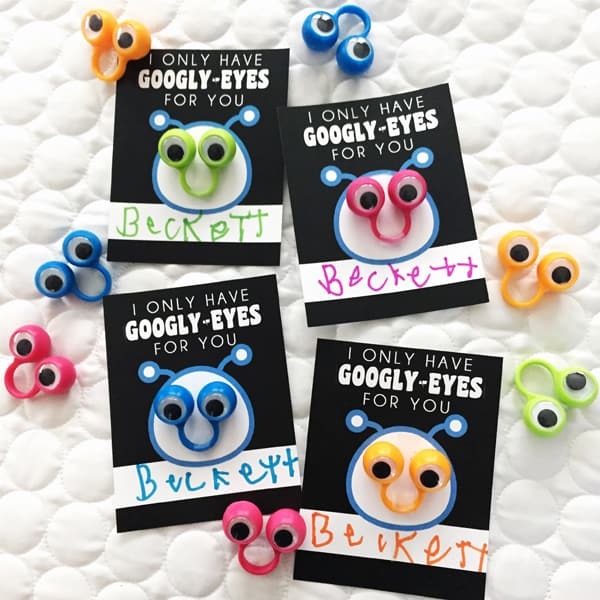 NON-CANDY VALENTINE CARD – These adorable printables look so great with googly eye rings. so adorable. My grand daughters and I will have to print some of these.